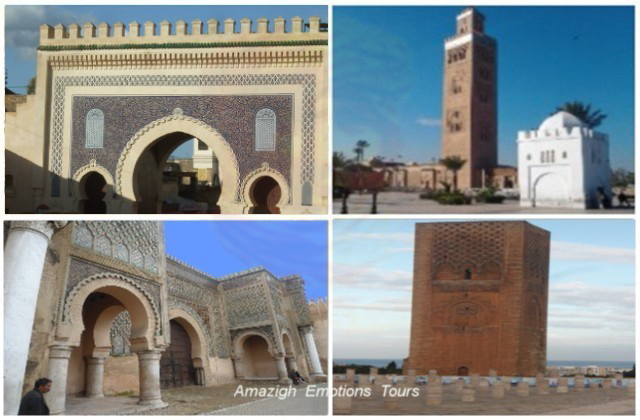 Day 1: Casablanca - Rabat (120 km highway): Pick up at your hotel or after the reception at the airport, then visit the magistique Hassan II Mosque in Casablanca, the economic and largest city of the country. 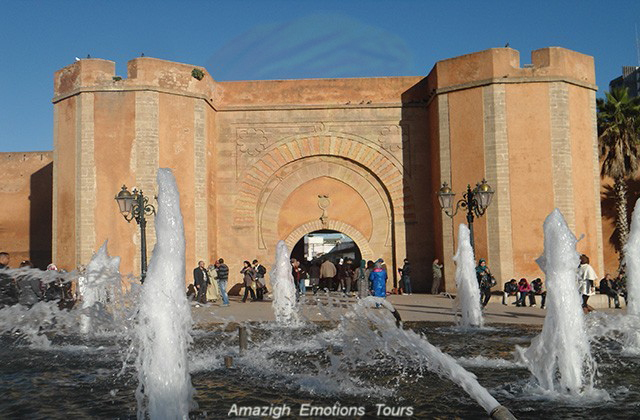 Continuation to Rabat, the administrative and political capital of the country to visit the famous Tour Hassan with Mohamed V mausoleum and lunch at a local restaurant (fish). 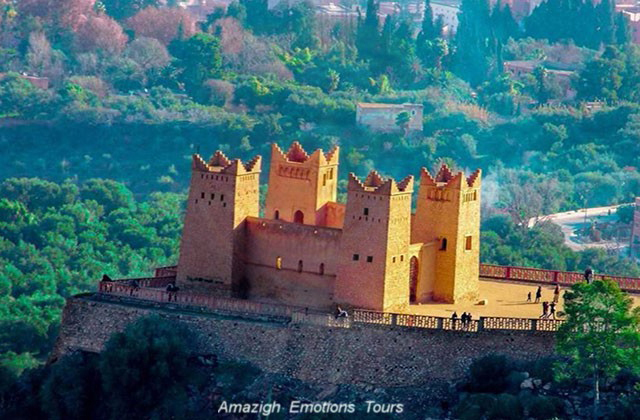 Afternoon, you visit the famous Kasbah Chellah and the Oudayas Kasbah (the old city of Mauriscos) enjoying a beautiful view of the Atlantic Sea. 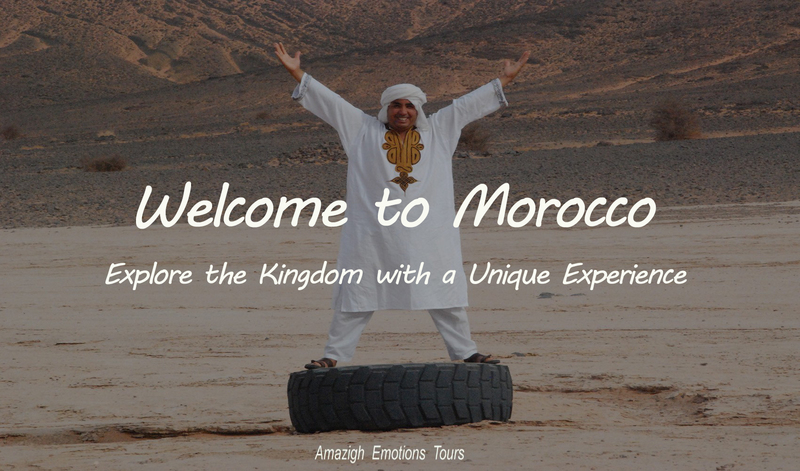 Overnight in Riad/Hotel. 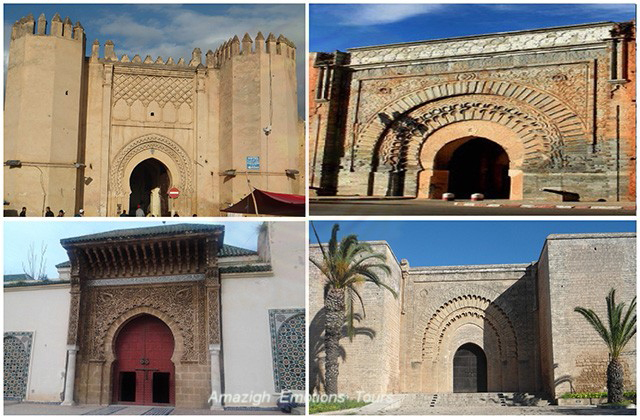 Day 2: Rabat - Meknes – Volubilis - Fez (270 km): Morning departure to Fez (the holy city) and the first imperial city and Medina founded by Moulay Idriss II. 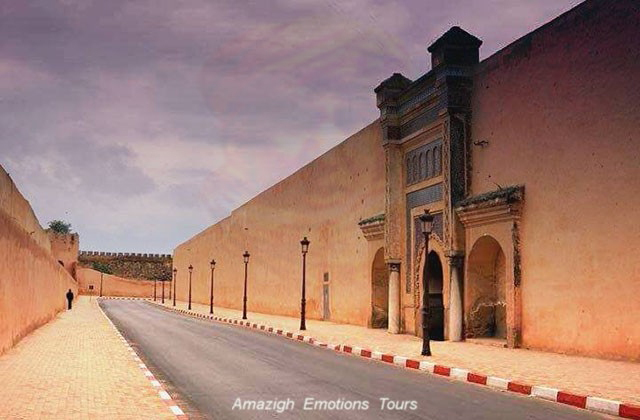 After arriving in Meknes, we will have a visit to the Medina with its historic walls, the famous gates of Bab Mansour, Bab el Khamis, Moulay Ismail mausoleum and stables. 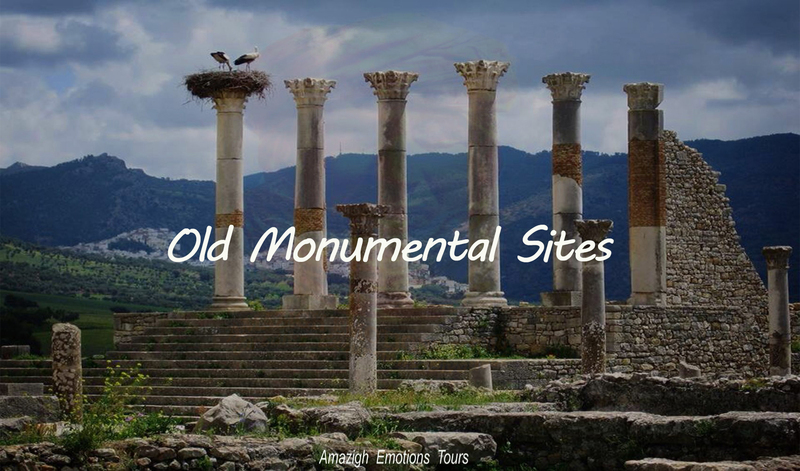 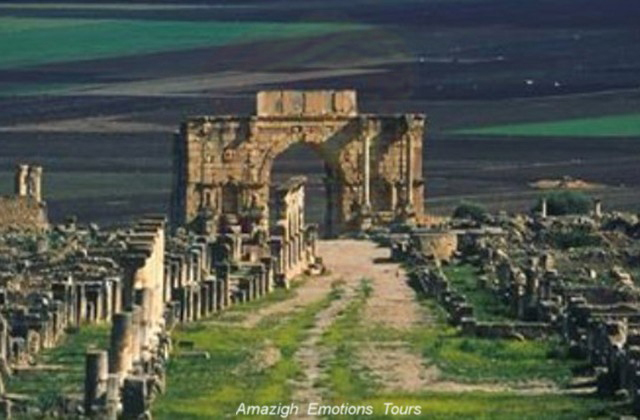 Lunch will be at the Medina in a local Moroccan restaurant, then continuation to reach the ancient Roman city of Volubilis and visit. 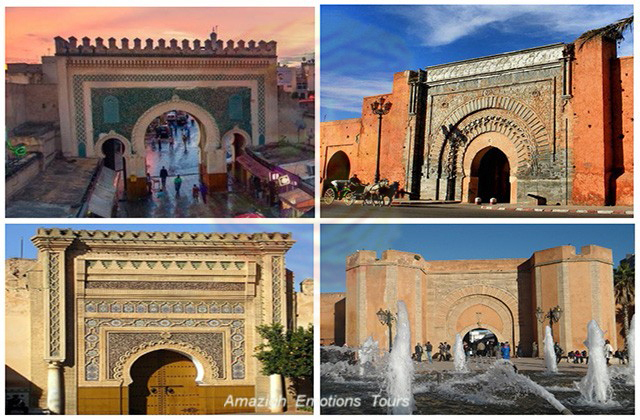 Expected arrival late evening in Fez, dinner and overnight at the Riad/Hotel. 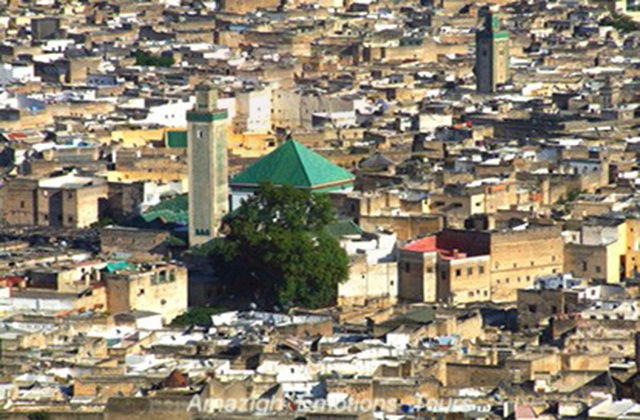 Day 3: Fez - Guided City Tour - Fez: The entire day will be devoted to a general exploration of the city. 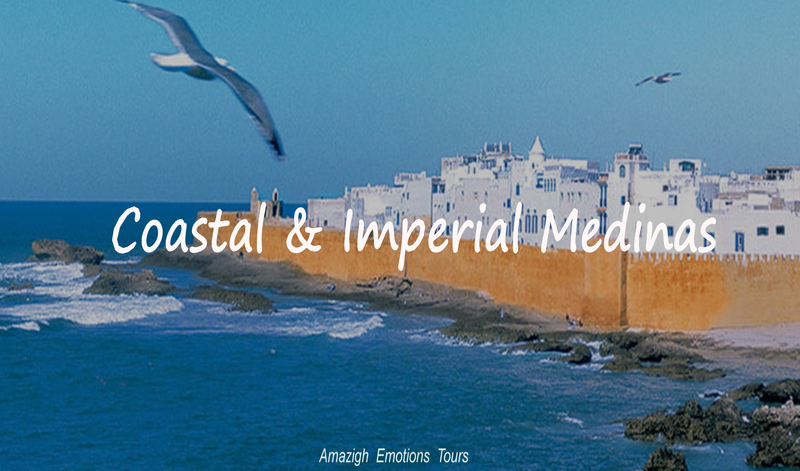 In the morning, we start with the royal palaces, the merinid tombs with a beautiful panoramic view of the medina and the area of local pottery. 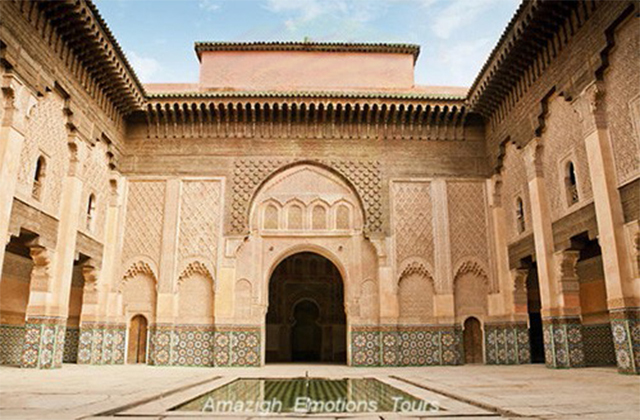 Your lunch will be in a palace in the medina, where in typical Moroccan restaurant. 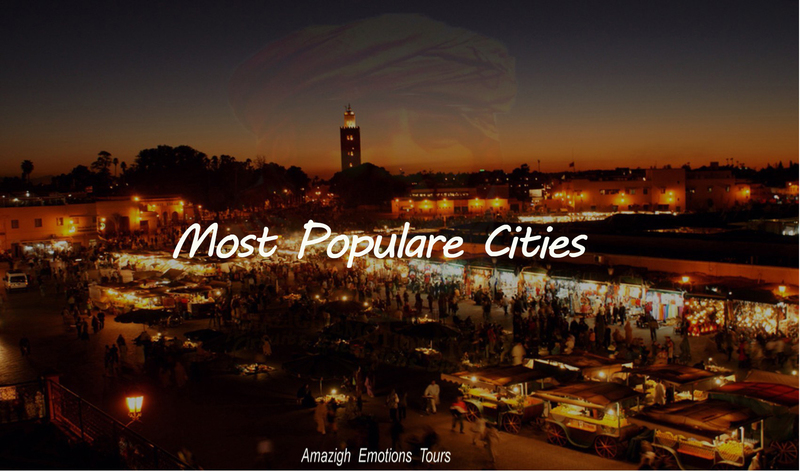 In the afternoon, you visit the alleyways of the Medina with its souks, tanneries, the Nejjarine fountain, the Madrasa Bou Inania, the Mosque al Karaouiyne and Fez Jdid ... Then return to your residence for overnight. 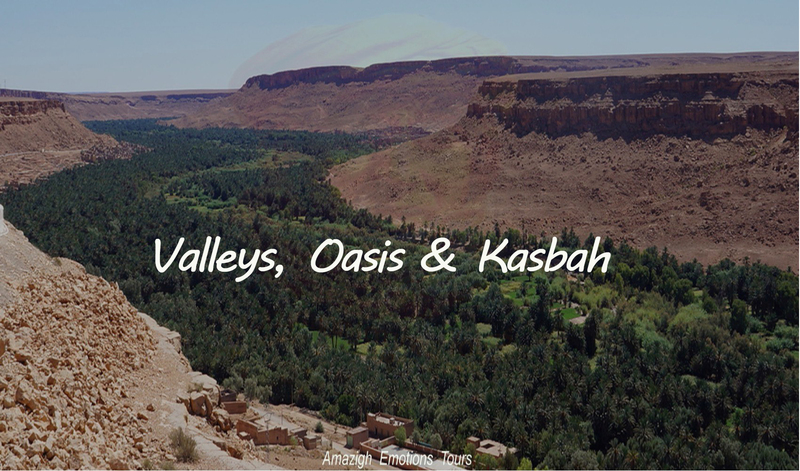 Day 4: Fez - Azrou - Khenifra - Beni Mellal - Marrakech (500 km): At 08 o'clock in the morning after breakfast we start our last stage to Marrakech (the red city). 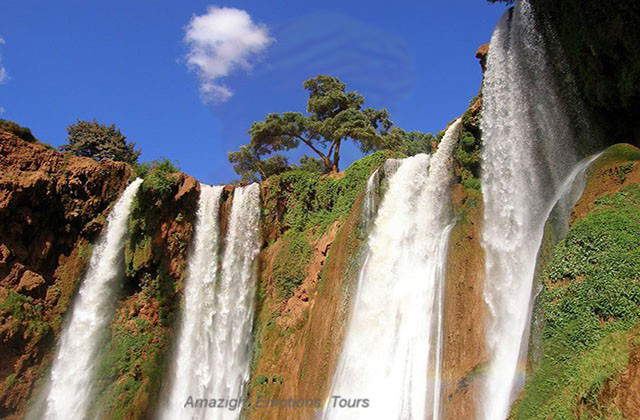 We will cross the town of Ifrane (Morocco Switzerland), the unique cedar forest in Azrou with it's monkeys (magot) of the Middle Atlas, then Beni Mellal (the city of Agriculture) and lunch. 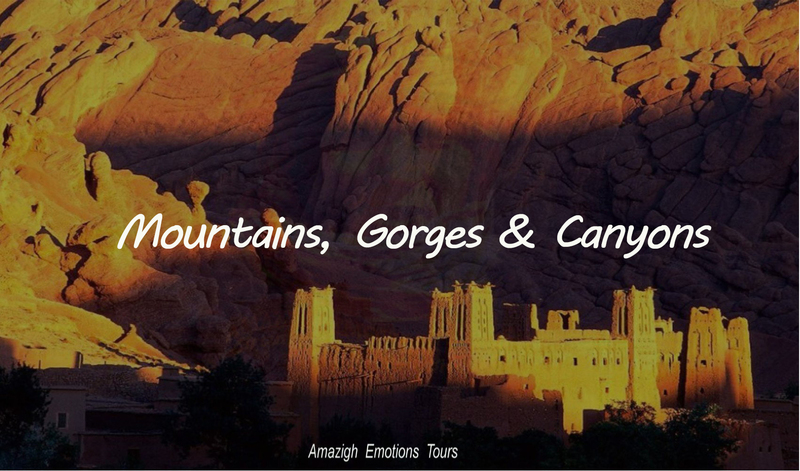 After continuing the road to visit Ouzoud waterfalls, the most important attractions of the Atlas Mountains. 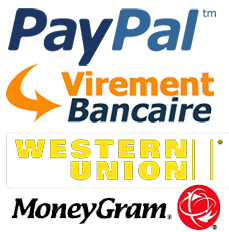 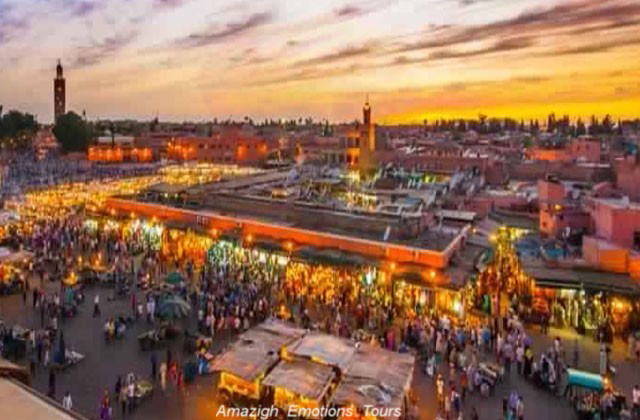 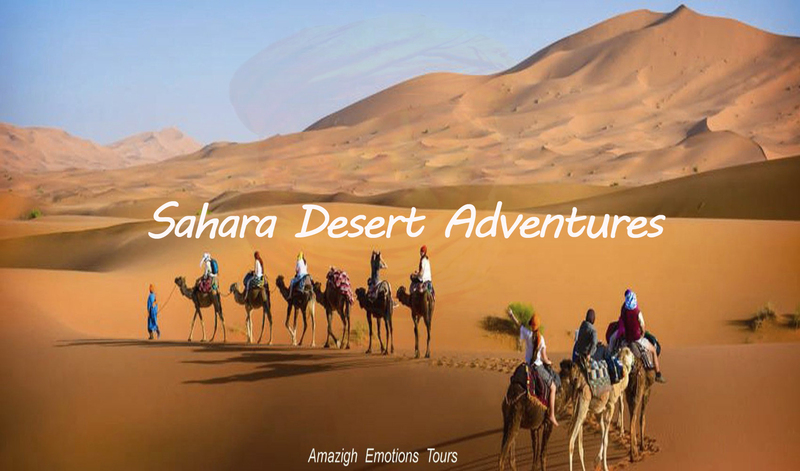 Arrival in Marrakech in the late evening and at the time of his famous Jamaa el Fna activities, then end of our services.